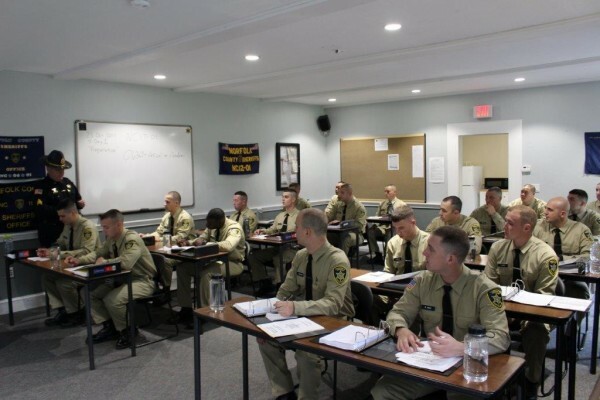 It is the mission of the Norfolk Sheriff’s Office that all employees receive ongoing training in order to develop their career goals, improve their job performance, and prepare them for promotional opportunities and to contribute to their professional growth in a rapidly changing correctional environment. Our plans and practice provide that correspondence and reference services are available to complement the training and staff development program. Reference services from the Massachusetts Department of Correction Training Academy, American Heart Association, Massachusetts Sheriffs’ Association, National Institute of Corrections, American Correctional Association, Drug Enforcement Agency, FBI Law Enforcement Executive Development Association (FBI-LEEDA), North American Police Work Dog Association (NAPWDA), Department of Justice, Department of Defense and Massachusetts State Police are on-site and available in the training unit. 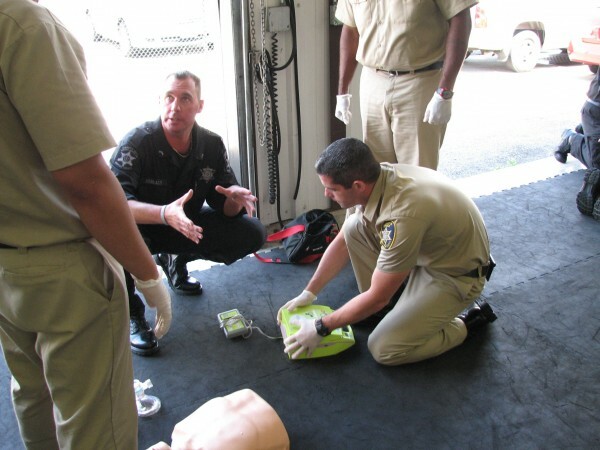 Classroom instruction is held at the main facility or at the Braintree Training Center. The training department is also responsible for operating training academies for newly hired correction officers and on-site/on shift training for staff.